Imagine being able to make a difference in the lives of many by one kind act. 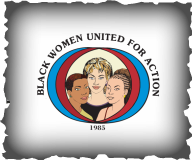 Being a member of Black Women United For Action (BWUFA) is more than just a chance to volunteer, it's an opportunity to change lives. The work that is done has the ability to change not just one person but entire communities. Please fill out the form below, we've been expecting you!